Somewhere in the Middle of America – The Old and the New. 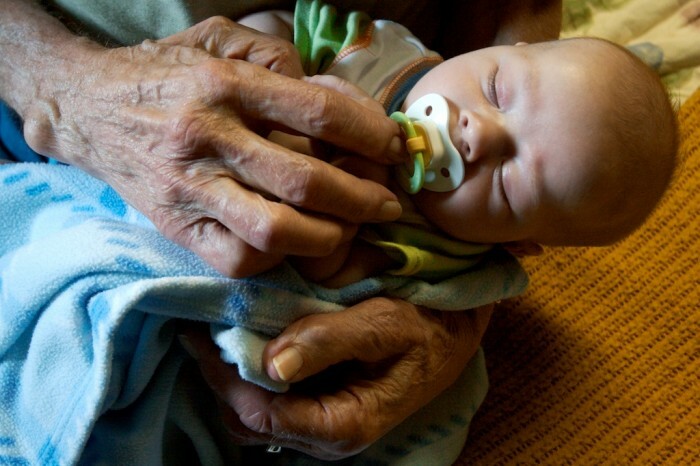 Floyd Zalman holds onto his two-month-old great-great grandson Kyler Fountaine while visiting at the nursing home. Kyler’s mom, Micki Fountaine, was back in Red Cloud on a visit from her current home in Lincoln.